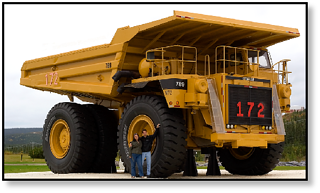 Mining trucks, also known as rock trucks or haul trucks, are heavy, massive trucks that carry materials and are designed strictly for off-highway use. While some of these trucks use an electrical wheel drive, others use hydraulic drive motors with an integrated gearbox, or what is often termed a final drive motor. Mining excavators are the large, powerful hydraulic excavators used to load the mining truck, and include front shovels. While front shovels have a bucket that digs forward and away from the machine, excavators have buckets that dig back and toward the machines. 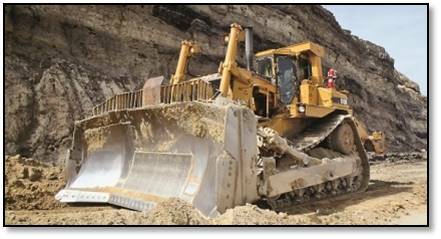 Both excavators and front shovels are tracked machines requiring hydraulic track drives. Also known as bucket loaders or front end loaders, wheel loaders can often be found on mining sites and are used, as the name implies, to load materials or move them. The typical wheel loader uses hydraulic drive motors to power the wheels, although in the future we may see electric drive motors. These are some of the largest machines in the world and are impressive feats of engineering. Bucket wheel excavators are primarily used in cross-pit mining and use a fascinating system of buckets (hence the name), chutes, and conveyor belts. 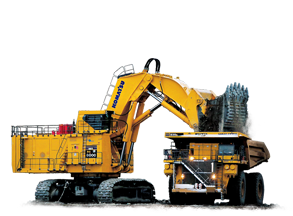 These very large machines are track-driven, and use a hydraulic track drive or final drive. The objective of a blasthole drill is to drill a hole into which a electric charge is placed. 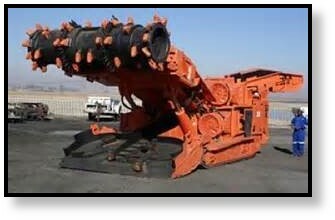 Most, if not all, blasthole drill rigs are tracked machines. They use hydraulic track drive motors with high torque output to run the tracks and thus move the machines. Another type of mining equipment that uses hydraulic motors would be continuous miners, which make up about 45% of underground coalmine production. Hydraulic motors are used to drive the tracks. These track drive motors typically have a gear box with a very large reduction ratio to achieve maximum torque. 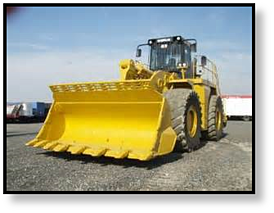 Many people recognize the crawler tractor when it is referred to by the name bulldozer or dozer. These machines have a blade attached to the front (if it is a loader attachments, it would be referred to as a crawler loader). Because they are tracked machines, the have track drive motors with reducing gearboxes to generate tremendous amounts of torque. 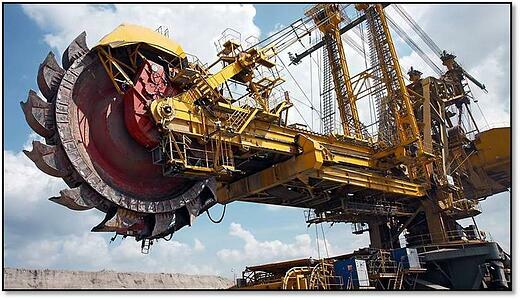 Other common sights in mining would include the crawler crane (a tracked crane, hence its name) and the crawler loader -- both require hydraulic track drive motors. Some roof bolters are tracked and also use track drives. Compactors, motor graders, and motor scrapers may also be used in mining applications and typically have hydraulic drive motors. When it comes to final drives and hydraulic motors for mining applications, one of the key characteristics is efficiency, both mechanical efficiency and volumetric efficiency. Also key for many mining applications is a high starting torque, high torque density, and high power density. 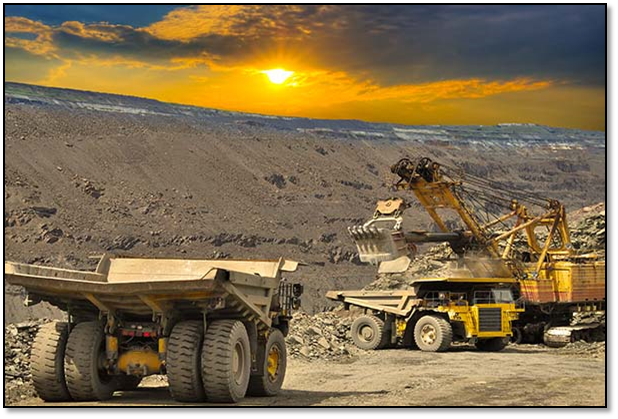 For track drive motors in mining, the Eaton JMV series of hydraulic motors is an excellent choice because of its efficiency, high starting torque, durability, and compatibility with most installations. Check out more about state-of-the-art mechanical technology with Eaton hydraulic drive motors.